I made this winter salad on Sunday night when we were invited over to friends for dinner. It involves all the fresh ingredients available at this time of year, such as winter squash and mandarin oranges, and because of all the healthy bits and pieces, it will keep us energized and satisfied for the upcoming week. Everyone at the dinner who tried it only gave positive feedback so I figured it was definitely worth sharing. 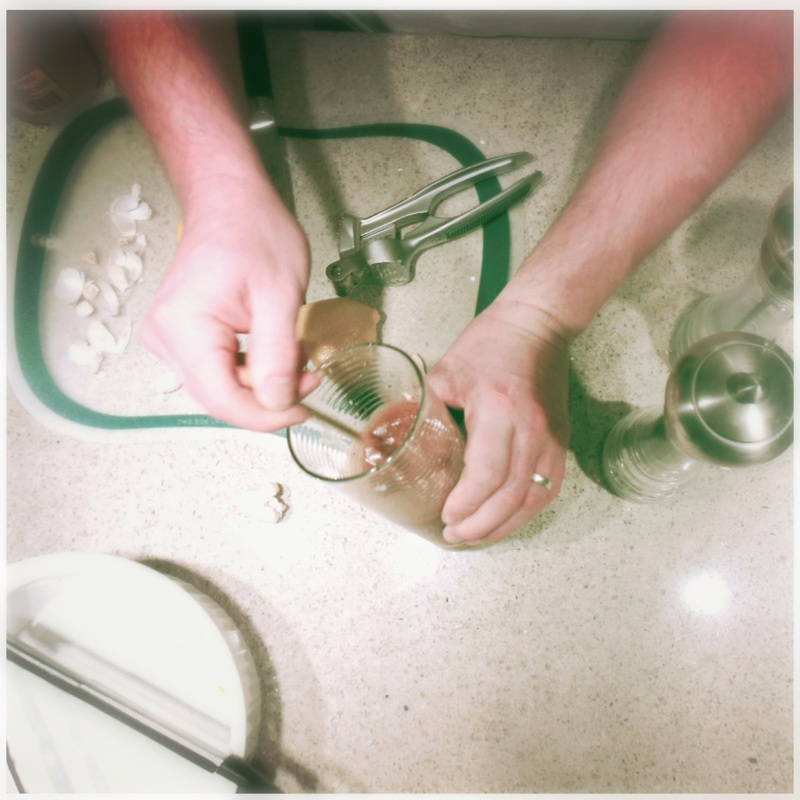 Plus, it was a combined effort between myself and my husband so not only is this recipe healthy but will keep things healthy between you and your loved ones because it's just one more thing you can add to your "shared hobby" list. 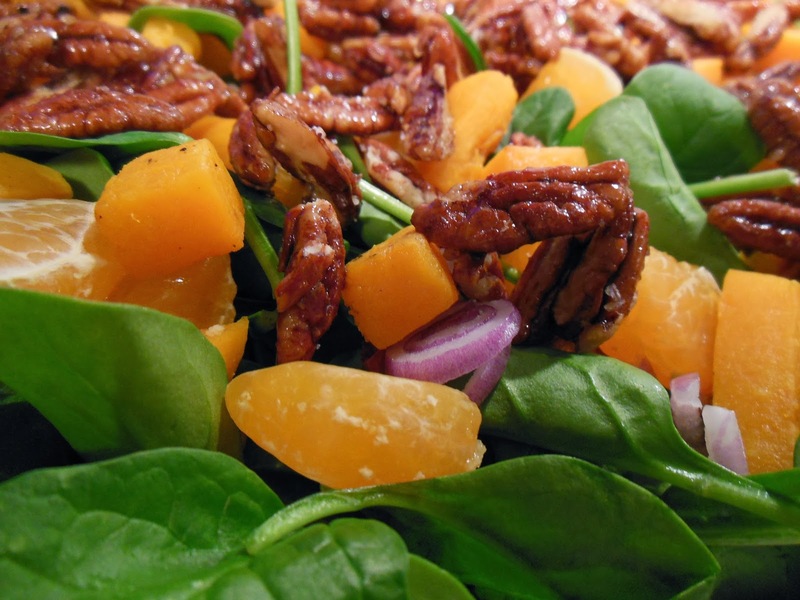 If you are looking for new ways to try old favorites like butternut squash and spinach salad, make sure to try this recipe because you won't be disappointed. Pre-heat the oven to 400 degrees C'. Peel and chop the butternut squash into 1 inch cubes and lay the cubes onto a baking sheet, single file, sprinkle with salt and pepper. Once the oven has fully heated roast the butternut squash for 30 minutes. Add the pecans to a non-stick pan along with the maple syrup. Cook on medium-high heat until the pecans give off the scent of slightly burnt candy. Remove the pecans from the heat. Let it rest for a minute and then transfer the pecans to a plate and let the nuts fully cool. Chop the purple onions into extremely thin rings. Make the dressing by combining all the ingredients into a cup, as pictured below and whisking with either a fork or whisk until all the ingredients have combined. Set aside. Take the butternut squash out of the oven once fully roasted and allow to cool. 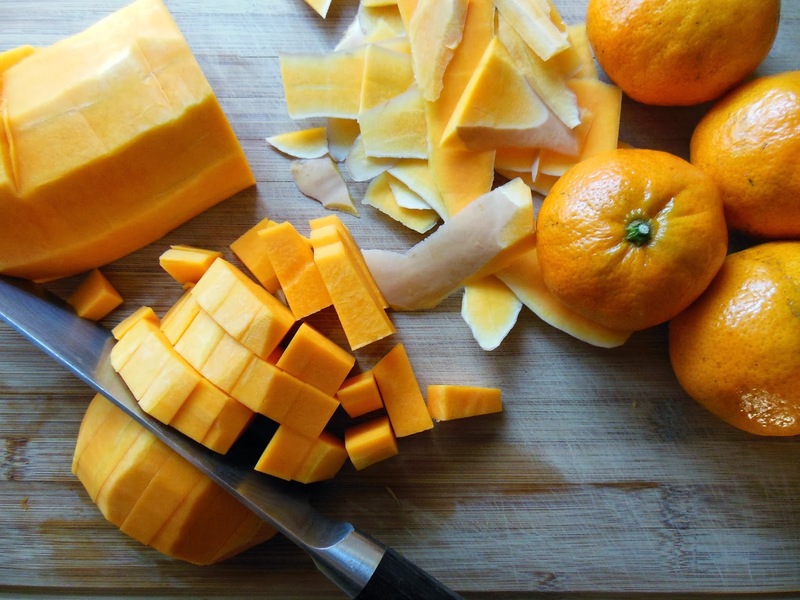 Cut each individual section of the mandarin orange into half pieces. 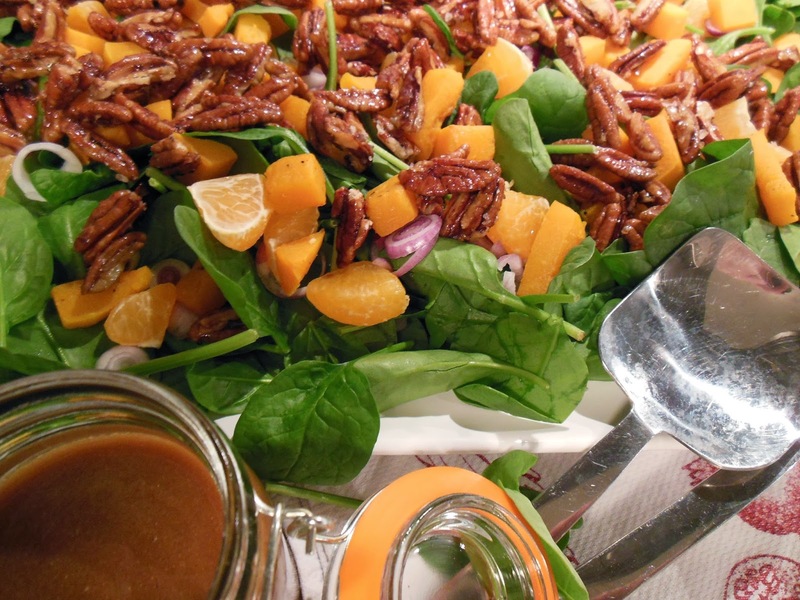 Once all of the ingredients have cooled, you are ready to assemble your salad. 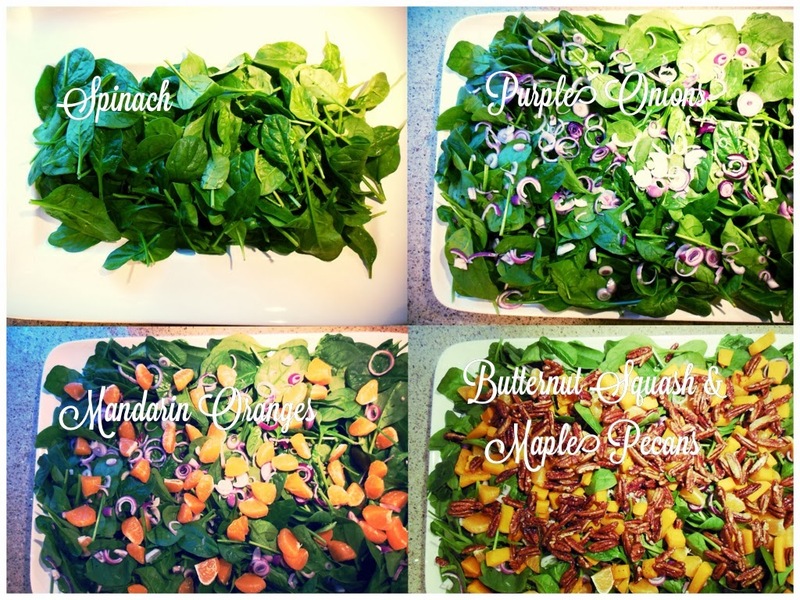 Follow the pictures below to assemble the perfect Winter Spinach Salad. Make sure to roast your winter squash in the oven because incorporating any type of water by way of boiling the squash will take away many of its nutritional content.